Olive Oil, Bees Wax, AHA, Bitter Almond Oil, Lanolin, Calendula Extract. The natural ingredients in the Red Rose Anti Blemish and Acne Scar Cream provide almost all the ingredients needed for the skin (vitamins, amino acids, omega fatty acids, etc.) with high absorption rate. In the formulation of this product, the material is completely natural and does not contain any preservatives or chemical fresheners. The use of this cream over time reduces and eliminates acne scars, brilliant and smooth skin. 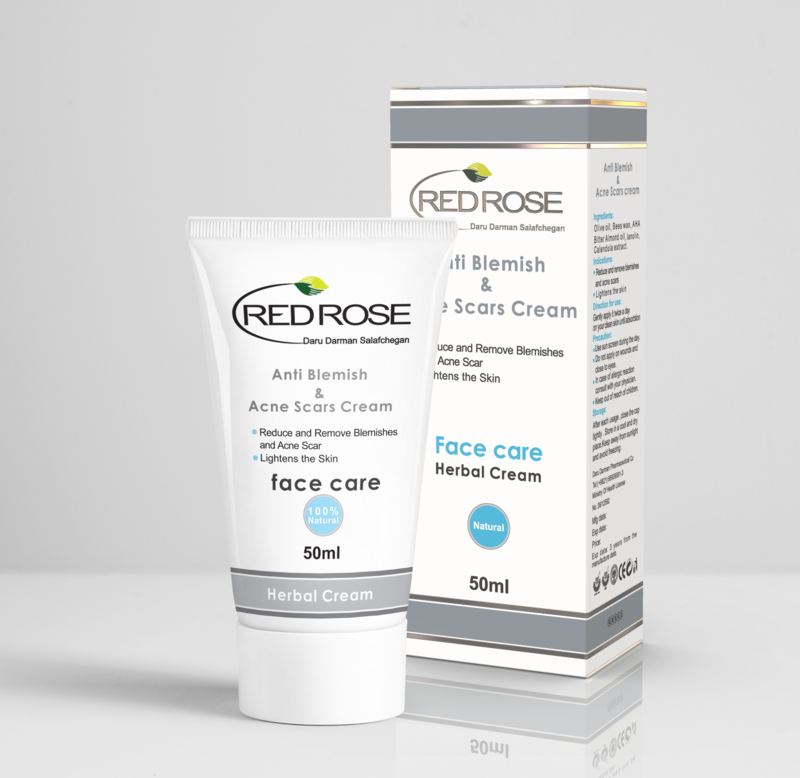 Red Rose Anti Blemish and Acne Scar Cream improves skin texture that gives it a more delicate appearance, reduces fine tough lines and sparkles skin and removes blackheads by mildly peeling. The alpha-hydro acid used in the cream structure dissolves the inter cellular layer slowly, which causes the skin to become obsolete to the epidermis, resulting in the skin’s outer layer brightening and can stimulate the production of collagen and elastic (two skin protecting agents). Alpha-hydro acids increase the ability of maintaining moisture in the skin, making it soft and firm. It also prevents the accumulation of worn cells at the pores of the skin and prevents the formation of blackheads and sordid. √ Use sunscreen during the day. Avoid using around eyes and open wounds. √ Keep the ointment out of the reach of children. √ Consult with your physician in case of any allergic reaction. Apply certain amount of cream twice a day on your skin and rub gently till full absorption.